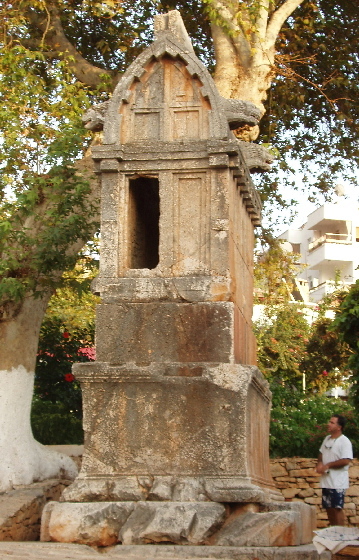 This tomb dates from the period of Persian rule, 4th Century BC, before the conquest by Alexander the Great. It is in the middle of the town of Kas. It has a boat-shaped or ogival lid. This sarcophagus lid has handles in the shape of lion heads. There is an additional chamber underneath the sarcophagus.